If you’re someone who cares about the environment and equality, then I can bet you’re probably pretty pissed off right now; I know I am. 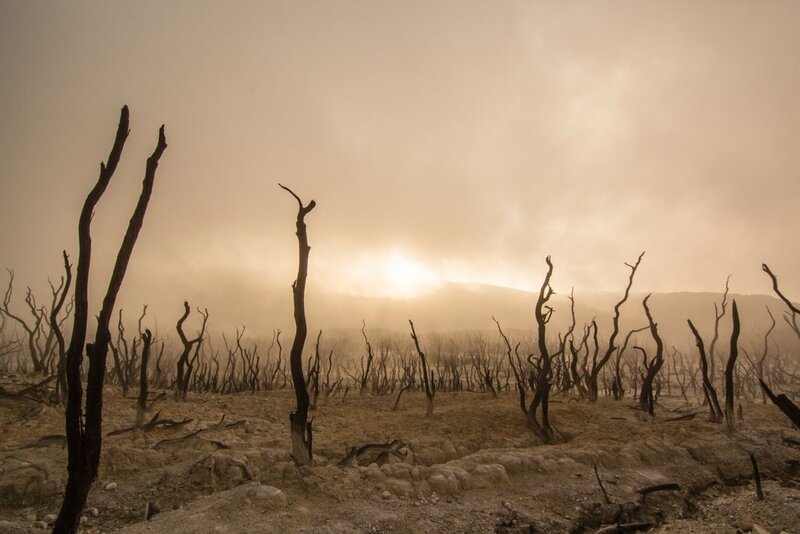 When we are faced with news of accused rapists being pardoned, lionized, and granted a lifetime of power, when we see images of children being torn away from their families, when we hear our leaders outright deny the harsh and imminent realities of climate change - how can we not be afraid and infuriated? For me, these past two years have been an exercise in finding hope and purpose amidst the despair. Funnily enough, the most hope I’ve found actually comes from the aggressive display of power put on by the Trump and GOP controlled government - it’s shown me just how much influence politicians have on the well-being of people and planet. From there, it’s not so difficult to imagine that a world where the people in power operate ethically (and are held accountable when they fail to do so) would be one where women, immigrants, workers, and the environment are prioritized. In order to achieve that dream, all we have to do is take our fear and frustration and turn it into action on a massive scale. If you care about social, economic, and environmental justice, then now is the time to get involved in politics. There are a lot of different ways to do that, and the 2018 midterm elections are a great place to start. This November 6th, every seat in the House and a third of the seats in the Senate are up for reelection, leaving an opening for the Democrats to take back majority control from the Republican party. Of course, gaining that majority will not solve all of our problems (we’ll still have Trump and a number of unethical politicians on both sides of the aisle), but it would give Democrats the ability to block future judicial nominees, bring a carbon tax to the table, and hold the administration accountable for its actions. Additionally, if progressive candidates win on local levels, the potential for cities and states to take action against climate change and inequality is huge. I hate to say it, but winning these races is not going to be easy. In the Senate alone Democrats must not only flip at least two states that are currently held by the GOP, the party must also hang on to over 26 of their current seats - 7 of which represent states that voted for Trump in 2016. All the more reason, then, for people across the country to get involved. Wherever you live, if you are also hopeful for a future where politicians work for the benefit of people and planet, instead of for profit above all else, then this is the moment to stand up and vote for the world you believe in. And these votes are worth way more than dollars. Vote. We should all be showing up at the polls on November 6th, and those living in contested states should make it a top priority. First, check your voter status here to make sure you are registered to vote. Then, make a plan; pick the time of day that is most convenient for you to vote and be sure to note your polling location. Keep in mind that polling hours are different in every state and that evening voters typically face much longer lines than those who cast their vote in the morning! If you have friends and family who live nearby, a great way to make voting seem less like a chore is to simply head to the polls together. Donate. Those who can, should support inspiring candidates across the country by donating to their campaigns. Even if you can only afford a few dollars, every little bit counts against corporate-backed, Republican opponents. Choose to support one candidate who speaks to you or disperse smaller sums around to a few different Democratic candidates. If you feel like a little research project, you can look up candidates who are being grossly outraised or are up against a particularly nasty opponent - because this is one situation where vindication is appropriate. Help elect Democrats at the state level in Arizona by donating to the EWC Giving Circle – because the states hold the power to implement action on climate change, healthcare, and voter suppression. Volunteer. For those who cannot or would prefer not to donate money, then donating time is just as, if not more, powerful. Candidates rely heavily on people power to get the word out about their campaigns, and as we saw with Alexandria Ocasio-Cortez’ recent primary win in New York, speaking with voters actually works. 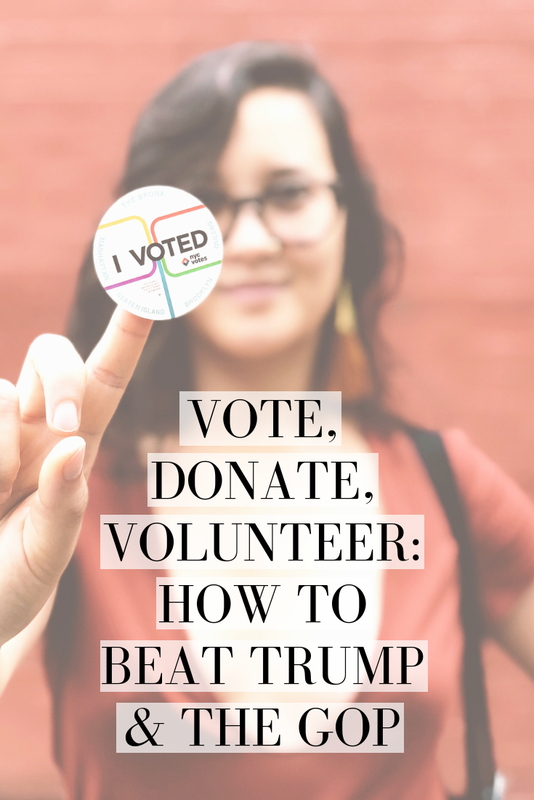 Volunteer to knock on doors if you live in a contested state, or take some time to call voters across the country from the comfort of your own home instead. You can even invite a few friends over to turn an afternoon of activism into a great excuse for wine and snacks. See the 5 inspiring female, queer, and POC candidates who I’m volunteering for here. Stay engaged. Part of what got us to this horrifying moment in history is the disconnect between citizens and the political process. I’m right there with you - before 2016 I wrote politics off as far too complex and egotistical to want to get involved, but it’s time for that mindset to change. We have to stay on top of national and local issues, vote in every election (especially the off year ones), and support candidates who are pushing legislation that we support. No, please don’t watch cable news all day, but do find a few reporters on the beats you care about and follow them on your social channels. Oh, and when they post a link, read the whole article, not just the headline.